The mission of HR Upfront is to deliver a superior online aPHR, PHR, and SPHR certification prep course to human resource professionals. HR Upfront is a Certification Preparation Provider (CPP) listed with Human Resource Certification Institute (HRCI). 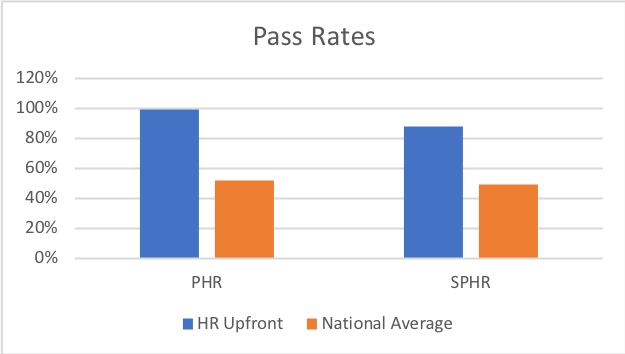 HR Upfront provides optimum preparation for the aPHR, PHR, and SPHR certification exam. HR Upfront is the online conduit between human resource knowledge and certification. The self-directed online prep course is designed with flexibility 24/7 for human resource professionals. Make a difference in your professional human resource career today and let HR Upfront help you prepare for the certification exam.